Hair powder, windows, carriages and coaches, and carriage and saddle horses were not the only luxuries which were taxed during the Regency. Many people also had to pay taxes on the servants they employed. But the tax did not apply to all of their servants. Only their male servants and only those which held specific positions within their households or on their estates were taxed. This tax can be blamed first on those pesky, rebellious American colonists, but its continuation during the Regency can be laid squarely at the door of Napoleon Bonaparte. Two hundred years ago, this year, the British Parliament significantly re-worked the servant tax, ratcheting up the rates in order to increase revenue to support the war on the Peninusla. So, let us trace the origins of the servant tax, its rates and regulations during the Regency, and the impact those regulations had on the households of England. The tax on male servants was first proposed by the Prime Minister, Lord North, in his 1777 Budget speeech to Parliament, as a means by which to increase the funds needed to put down the rebellion in the American colonies. Such a tax had already been in effect in Holland for more than two decades. A similar tax had been discussed in France, in 1759, though never levied. Based on a tax rate of one guinea on each male servant holding certain positions, North estimated the government would realize over £100,000 a year. However, only those servants who performed services which were considered non-essential luxuries were taxed. Thus, butlers, footmen, valets, grooms, coachmen, gardeners, park-keepers, game-keepers, masters-of-the-horse, whippers-in and other huntsmen, were all to be taxed. But farm laborers, day laborers, factory workers and the servants of tavern-keepers, shop-keepers and merchants were all to be exempted from the tax. So, too, were the servants of the royal family, official foreign ambassadors and the servants in the various Colleges. However, if an inn-keeper, shop-keeper or farmer were to employ one of their servants to perform personal or domestic services, such as scrubbing a floor, saddling a horse or cleaning boots, their masters would then be expected to pay the tax on that servant. Few would voluntarily pay the tax, but had to be careful about when and where their servants performed those prohibited tasks, as there was always the chance a rival or adversary might inform against them. Initially, Lord North had wanted to exempt those who kept only one man-servant from the tax, but he was afraid that if the law made provision for that, many people who kept two servants would turn one off in order to take advantage of the exemption, thus throwing many men out of work. There was also some discussion of charging a lower tax rate on servants under sixteen years of age. But Sir Charles Bunbury protested that if all male servants should be reduced to taxable commodities, it would be even more humiliating and insulting to tax the young at a lower rate, particularly since many of them did the same amount of work as men who were of age. That proposal was also voted down. In 1785, the tax on servants was extended to female servants as well. But male servants were principally employed by those of the aristocratic and upper classes, who could more easily afford to pay the taxes. Male servants were also seen as a hallmark of elite social standing and most prominent and wealthy families employed as many as they could afford in order to validate their place in society. However, the keeping of a female servant, often a maid-of-all-work, was becoming more common among the growing middle classes in the late eighteenth century. These servants were hired primarily to ease the burden of work on the woman of the house rather than to enhance social standing. There was an ongoing protest against this tax, not only for the hardship it placed on middle class people, but because it meant there were those who could no longer afford to keep a maid, thus throwing many women out of work in an age when they had few employment opportunities available to them. The tax on female servants was finally repealed in 1792. The year 1785 saw some other changes in the servant tax. Prime Minister William Pitt believed the rates should be increased on the rich, who kept many more servants. Thus, a progressive tax rate was introduced, by which those who kept only one servant would be charged one pound, five shillings a year, while those who kept eleven servants or more were charged at the rate of three pounds per head, per year. But those servant tax rates were only levied on families, that is, married people who kept servants. A separate tax rate was levied on bachelors. A rate of two pounds, ten shillings was levied on the first two servants kept by a bachelor, while a rate of four pounds, five shillings was levied on each servant when a bachelor household employed between three and eleven servants. In addition, waiters (and waitresses, until 1792) in taverns and public houses, who had previously been exempt, were added to the list of taxable servants. Due to the escalating costs of the Napoleonic Wars, the servant tax rates were adjusted again in 1812, as well as the classes of servants who could be taxed and where the law would be applied. These changes were to remain in effect until 1823. For those who were not bachelors, the tax rates were two pounds, eight shillings for one servant, the rate for two servants was three pounds, two shillings for each of them. For households with eleven or more servants, the rate was seven pounds, thirteen shillings for each servant. The tax rates for the servants of bachelors went to four pounds, eight shillings for a single servant, with a charge of nine pounds, thirteen shillings for each servant in a household with eleven or more servants. In addition to the increased tax rates, more classes of servants were designated as taxable. Waiters had been made taxable in 1785, and they continued to be, as did all the various domestic and estate servants noted above. But in 1812, messengers or agents employed by merchants and traders were taxed, as were clerks, book-keepers and other office workers. Shopmen, porters, warehousemen and cellarmen who were employed in shops and warehouses became taxable. Estate and factory middle-managers such as stewards, bailiffs, overseers and other managers became taxable. Transportation workers were also included for the first time. The coachmen and guards of stage coaches and any coachmen, grooms, postilions and stable-boys who dealt with post-chaises and other vehicles kept for hire were all taxed. But perhaps most surprising, all farm laborers and others who worked for those involved in agriculture were deemed to be taxable, as were most factory workers. In 1812, the servant tax was applied to Ireland for the first time, not without complaint. The new servant tax regulations were not at all popular in England or Scotland, either. Though there had been some evasion of the tax in the past, servant tax evasion began to escalate during the Regency. There were even those among the aristocracy who began to appeal for exemptions for some of their servants for various reasons. For example, the Duke of Bedford argued that he should only have to pay the tax on those of his servants who wore his livery, and claimed that he should get an exemption for the twenty-five servants who did not. The duke took the case before the board of tax commissioners, who, after hearing his case, found against him. The duke was not only required to pay the tax on all his servants, but also a large sum as a penalty because he was late paying his taxes. Many other aristocratic and upper-class rate-payers appealed the taxes they were required to pay on their servants, but few were successful. Yet not many reduced the number of servants they kept, in order to maintain their social standing. There was some reduction of farm laborers and factory workers at this time, but it appears that the reason for the drop in this work force was primarily because many of those men took the King’s shilling and joined the army. To add insult to injury, in 1812, the tax on hair powder was still in effect. Though most people no longer wore their own hair powdered or wore powdered wigs, many of the household servants of the aristocracy did wear powdered wigs as part of their livery. Such liveried servants included coachmen, grooms and footmen, among others. Tax had to be paid for every servant who wore a powdered wig. There was a provision in the law regarding servants which did somewhat mitigate the burden of the tax on hair powder for servants. If a householder provided a full account of all his servants who wore powder, and the capacities in which they served, upon payment of his taxes, he could then request certificates for those servants. A certificate would be issued for each servant on whom the tax was paid, stating their name and the capacity in which they worked in his household. Should any of those servants leave the householder’s employ in that year, the certificate would allow him to avoid paying the hair powder tax again in that year on the departed servant’s successor. However, if the householder did not have a certificate, he would be required to again pay the tax on hair powder for his "new" servant for that year. All households were required to pay the tax on hair powder for their servants throughout the Regency, since the tax on hair powder was not repealed until 1869. The tax levied on male servants had the effect of causing most English households during the Regency to hire female servants to take care of the majority of domestic chores, such as child-care, cooking, cleaning and laundry. Female servants tended to fill many non-public positions, such as nursery-maid, house-maid, dairy-maid, and scullery maid. Though male servants were considered to be of higher status, most aristocratic and upper class households still had many more female than male servants. Female servants were much less expensive to employ, since not only did they generally receive lower wages, they were also not taxed. Male servants were typically paid much more than female servants, and could be taxed at very high rates, depending upon the number the household employed and whether or not they wore hair powder. The highest-status male servants would be employed in the most highly visible, public positions, such as footmen, coachmen and grooms. These servants would not deign to do ordinary housework, nor would their employers expect it of them. That was what the female servants were for, with one exception. Male chefs, particularly French chefs, were also high-status servants, though they did not serve personally in what would be considered a public capacity. But the meals they produced could significantly add to the prestige of their employers, who were therefore generally willing to pay their usually exorbitant wages, the tax on them and give them a free hand in the kitchens. However, status and prestige was a two-way street. A strict social hierarchy existed in the world of Regency servants, perhaps even more strict than that of their aristocratic employers. The position a servant held in a household was certainly important, but their status was judged almost as much by the rank of the master or mistress they served. In this lower-level, but equally status-conscious world, working for a titled employer was of much higher status than working for a member of the gentry. Yet working for the gentry was certainly of higher status than working for a merchant or tradesman, however wealthy. Most career servants, particularly men, would often settle for somewhat lower wages than a wealthy merchant might pay in order to land a position in an aristocratic house. In the long run, they would gain greater status working for a lord, which, in many cases, would be more useful in advancing their career than working for a merchant, even though they might offer higher wages. Women, particularly those who had some hope of marriage, were more likely to take the highest paying job, regardless of the status of the employer, with an eye to saving for their future. Most respectable middle class households employed only female servants, as few could afford the added expense of even one male servant. If a middle class family did hire a male servant, it was either because there was much heavy work to be done that a female servant could not manage, or they hoped to increase their social status. But such households would not attract the highest status male servants. They would be more likely to have to settle for a young boy, just starting out, or an older man who could no longer hold a position in a greater house. A truly social-climbing middle-class family might hire one specialized male servant, a tutor for the sons of the house. Most prosperous families would employ a governess for all their children until such time as the children, particularly the boys, were ready to go to school. Those of lesser means might make do with lessons from a local vicar or dame school. Full-time tutors were commonly employed in upper-class and aristocratic households to prepare the sons of the house for school. But the daughters of the gentry and aristocracy were usually schooled by a governess, either until they were ready for their come-out, or were sent to a finishing school. There are numerous references to people going abroad during the Regency because it was much less expensive to live on the Continent. France was particularly popular, especially after Napoleon was exiled, for several reasons. The style of living there was rather different, which meant that grand dinner parties and other costly English-style social events were very rare. Therefore, fewer servants were needed to maintain one’s social standing. But more importantly, not only were the wages one had to pay servants much lower than in England, there was no tax either on servants or the powder they used in their hair. In addition, there was no tax in France on either horses or carriages. Thus, an Englishman or woman living abroad often found their expenses could be as much thirty or forty percent less than what they required to maintain a similar life-style in England. Now you have a better idea of the world of the servant classes in Regency England, and what engaging the services of these servants meant to their employers. It should also be easier to understand why high-status male servants were not expected to perform work which would be considered beneath them, except in extreme situations. Yet female servants were regularly expected to carry out many coarse, rough tasks, primarily because they were less expensive to their employer and their efforts were not visible to society. The beau monde would be well aware of the number of servants, particularly male servants, which were in the service of other ton families. More footmen and other high-status male servants did indeed increase the perceived status of their masters and mistresses. It should now also be clear why bachelors were more likely to have fewer servants, since they were required to pay a higher rate of tax on each servant in their service. The servant tax was never applied to the royal family, so the Prince Regent and all his many relatives paid no taxes on their army of servants. The servants of foreign ambassadors were also exempt from the tax, as were servants in colleges across Britain. In 1812, the servant tax had reached its broadest scope and highest rates, and tax evasion had increased. But despite ongoing complaints from the upper classes, the rates and scope of the law would not be reduced until 1823, and the law would not be completely repealed until 1889. 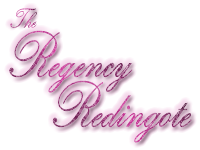 This entry was posted in Politics & Law and tagged Regency, Regency Bicentennial. Bookmark the permalink. What you point out in your last paragraph are truths I’d already observed but didn’t understand from my reading of Regency fiction. It explains so much. I wondered why the servants preferred masters who were so drowned in debt that their wages remained unpaid for months to affluent merchants who could pay them more and on time. I also wondered why some families in the gentry who came to London for the Season or visited Bath or Brighton seemed to have young, unformed boys in their employ, when surely a less awkward-looking servant would have been better. It didn’t occur to me that the answers would of course be in the economics and not just intricate social customs. As always, a great post. Thank you. Thank you for stopping by. I am glad you enjoyed the post. Those families of the lesser gentry who came to London, Bath or Brighton with rather gauche servants typically did so, because, if they could afford a male servant, that is the best they could get. There is also the fact that those families who are coming to the big city for the first time from remote or rural areas may be perfectly oblivious to the prestige they might have acquired by hiring a higher-status servant. They did not know the secret, “inside” rules of society. That was yet another way the ton excluded social climbers and parvenues. Serendipitously, today, over at Jane Austen’s World, Vic has posted a most informative article: The Green Baize Door: Dividing Line Between Servant and Master. There you will learn the details about the most important marker of the boundary between the servants and their employers in a great house. Thank you. It’s an excellent article. Surprisingly I had never heard that term before, but chances are that I’ll be noticing it in every book I read from now on. A fascinating entry. It’s always interesting how economic incentives affect things. I was aware of the powder tax*, but I was not aware of this servant tax. *I think I first became aware of it after a brief reference at the beginning of a Heyer book caused me to investigate it further. We tend to forget that those in the past had to deal with economics in their lives just as we do in ours today. I am glad you liked the article. If you read about the powder tax in a Georgette Heyer novel, it must have been set near the end of the eighteenth century, as the tax on hair powder was levied at least twenty years after the first servant tax. And she was very careful in her research. This blog is so very informative. I’d love to learn more about the different servants and their roles, from the butler on down. Or is it already available and I missed it? I am glad you find the articles informative. In terms of roles for servants, if you were seeking information on them here at the Redingote, I can assure you that you have not missed such information, as I have never posted any. There are many books and articles on the subject, but those I have read tend toward quantification of the vast numbers in service and their social and economic power, or lack thereof, rather than their duties. Though in such costume dramas as Downton Abbey and Upstairs, Downstairs, the servant’s roles were fairly rigid, those role stereotypes appear to have been a late nineteenth and twentieth-century phenomenon. The anecdotal evidence I have come across for the latter part of the eighteenth century and the early nineteenth century indicates that the roles of most servants was much less rigid than they became in the next century. I have the luxury of writing about what interests me at any given moment, and, quite frankly, servant life is not at the top of that list. At some point in the future, I may do a series on the roles of various servants in a large household, but at the moment, it is on the very edge of the radar screen. You know, your answer actually gave me more info than many of the other websites I searched and is most helpful. Thanks so much. I am always glad if visitors find the information here helpful. I have never checked Google search. You have piqued my curiosity. I googled ‘tax on male servants’ and yours was second….